Archbishop Carroll High School is a Catholic, college preparatory, co-educational school that welcomes young people and empowers them in an academically rigorous, diverse, and supportive learning environment. Our community works daily to think critically, creatively, and morally so that we can serve God with purpose. We are a Catholic school. We believe that each of us is called to be transformed by the saving power of Christ. * All students, teachers, staff, administration and parents are expected to embrace the Gospel values of honoring the dignity of all persons and working daily toward the common good. * We welcome students of all faiths. 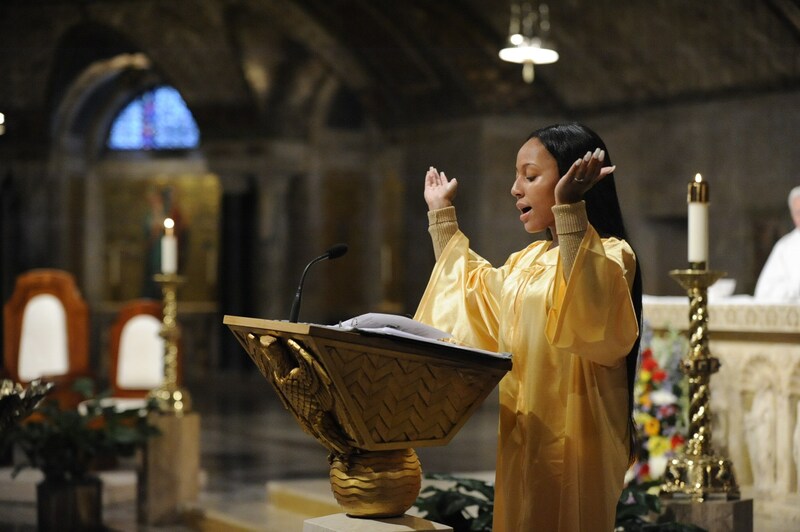 * We exist to promote enthusiasm for the Catholic faith. * All members of our community are expected to appreciate Catholic forms of prayer and worship. We believe that thinking critically, creatively and morally enables us to serve God and live with purpose. * We are a college preparatory school because that curriculum best honors our students’ God-given intellects. * We also help students develop habits of work and thought that enable them to become independent adults who work for the common good. * The International Baccalaureate Learner Profile informs the habits of mind we promote for all students. We believe that all members of the Archbishop Carroll community will hold themselves accountable for their responsibilities to themselves and to each other. Our daily quest for community is anchored in the virtues of temperance, charity, and faith. * Virtue can and must be cultivated in teens, who are called to virtue at all times, whether in school or out. * Teachers must model the virtues we call on students to exercise. * Community collaboration can make virtue easier for all individuals to embrace.